Buffalo, NY The LiRo Group, serving as construction manager in a joint venture with Gilbane Building Company, as well as the team of architect HOK and general contractor LPCiminelli, have completed the new building for the Jacobs School of Medicine and Biomedical Sciences at the University at Buffalo (UB), for the State University Construction Fund. 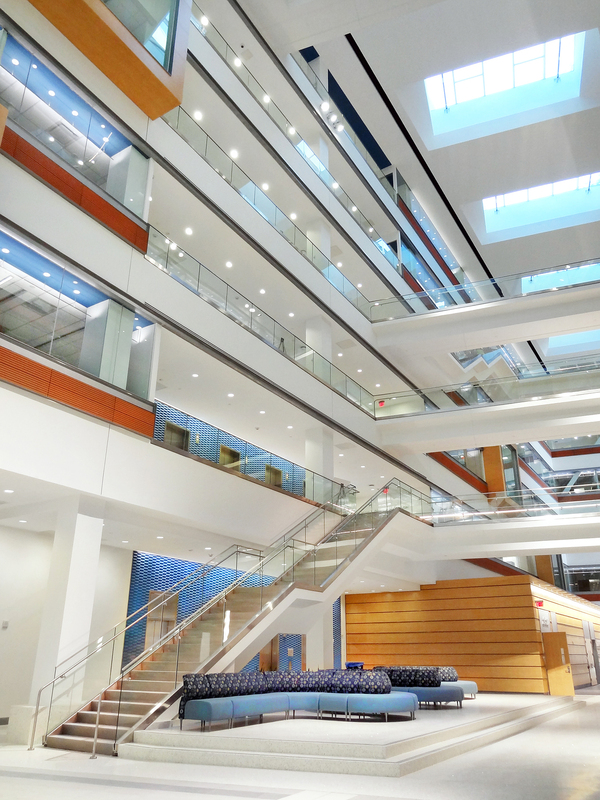 At 628,000 s/f, it is the largest recently constructed medical education building in the U.S. The eight-story structure aims at LEED Gold certification and was the first project to receive funding through the NYSUNY 2020 Challenge Grant Program. 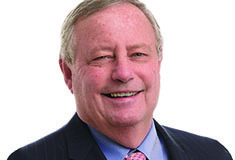 “This building fully integrates medical education into Buffalo’s growing academic health center, emphasizing interdisciplinary collaboration and strengthening our relationships with our clinical partners,” said Michael Cain, MD, VP for health sciences at UB and dean of the Jacobs School. 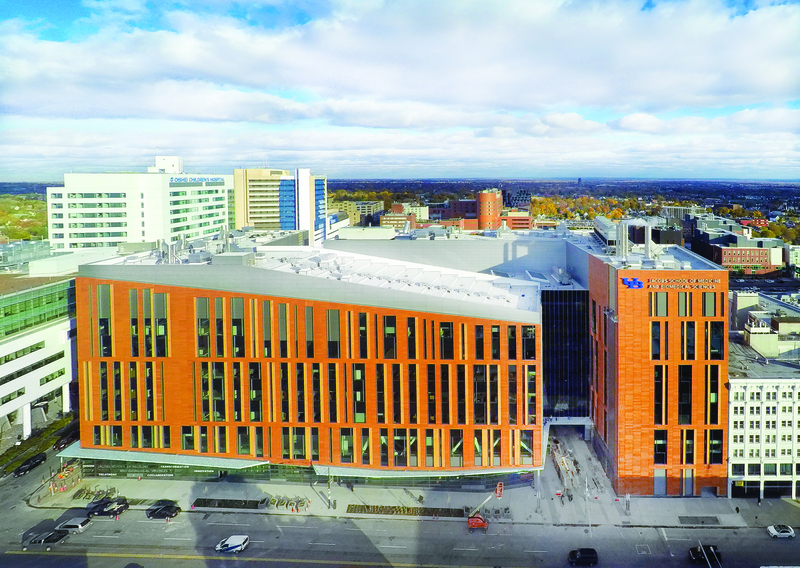 The new building is allowing UB to expand the size of each of its classes in the Jacobs School by a full 25%, from 144 to 180 students per year. By 2021, the school’s enrollment will reach a full complement of 720 M.D. students, in addition to 126 PhD and 86 Master’s degree graduate students in biomedical sciences programs. The structure spans nearly two city blocks. The 450-ft. by 200-ft. site is in a tight, restricted urban area with narrow streets and within close proximity to busy hospitals and the resulting emergency traffic. The construction team developed a highly detailed logistics plan to manage construction activities in such a challenging location. Two interlocking L-shaped wings that form the building are split by glazed walls. The building’s façade is a rain screen system with a terra cotta tile finish. The conjoined letters “L” create a 12,500 s/f central atrium that serves as a “town square.” The dominant feature of the entrance lobby is the two-story-high light tower. The building houses classrooms, auditoriums, laboratories, a simulation center, a clinical competency center, surgical and robotics, a gross anatomy lab, a computer lab, a pharmacy, a home healthcare and disabled care classes, a human anatomy lab, lounges, a cafeteria, offices, and support spaces. • Structural engineer: Ysrael A. Seinuk, P.C. • MEP engineer: Vanderweil Engineers.